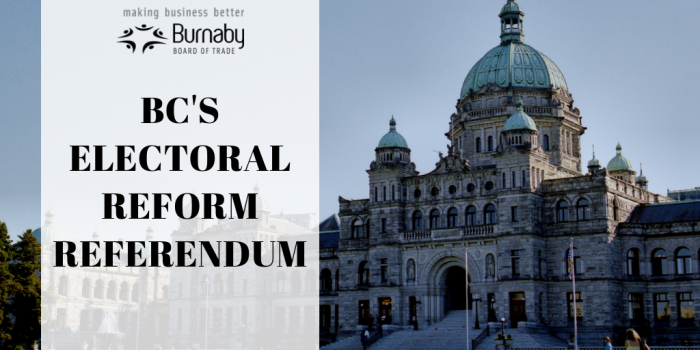 Today, the Burnaby Board of Trade is releasing its Electoral Reform Referendum Report ahead of the end of the ongoing referendum on November 30th. 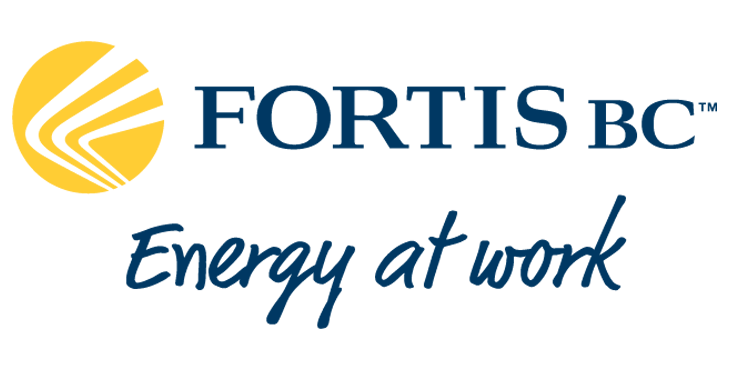 British Columbia is currently holding a mail-in referendum on the electoral system used to elect the Members of the Legislature which make up the provincial government. 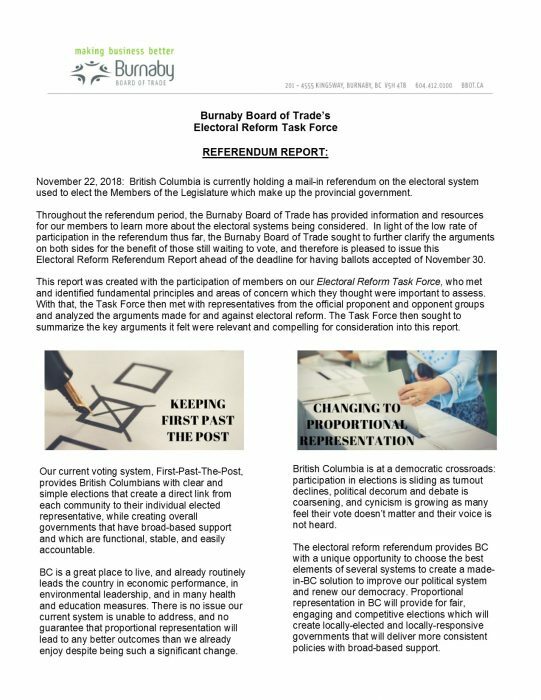 Throughout the referendum period, the Burnaby Board of Trade has provided information and resources for our members to learn more about the electoral systems being considered. 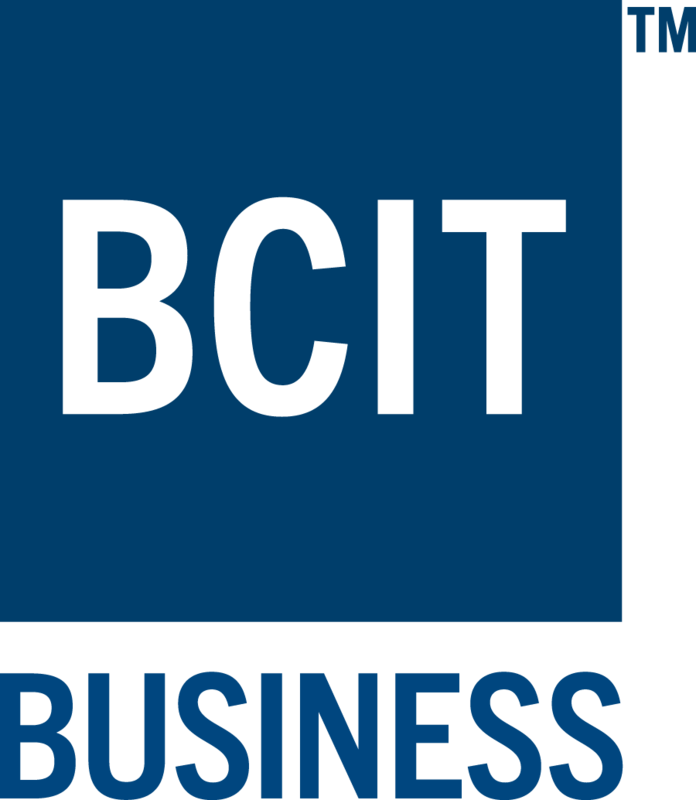 In light of the low rate of participation in the referendum thus far, the Burnaby Board of Trade sought to further clarify the arguments on both sides for the benefit of those still waiting to vote, and therefore is pleased to issue this Electoral Reform Referendum Report ahead of the deadline for voting on November 30. This report was created with the participation of members on our Electoral Reform Task Force who met and identified fundamental principles and areas of concern which they thought were important to assess. With that, the Task Force then met with representatives from the official proponent and opponent groups and analyzed the arguments made for and against electoral reform. 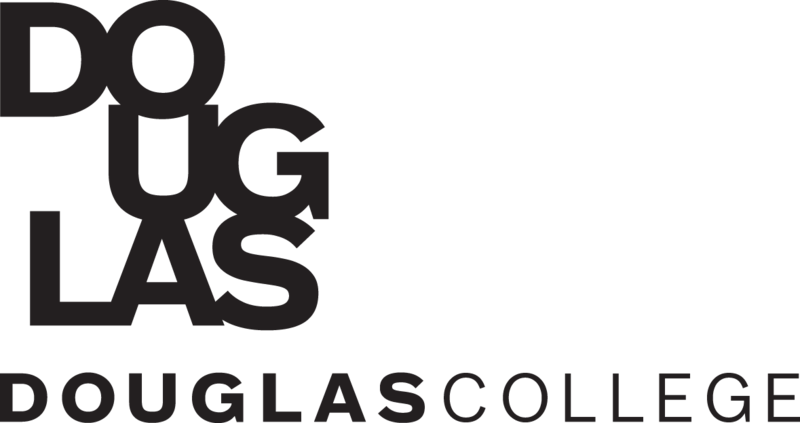 The Task Force then sought to summarize the key arguments it felt were relevant and compelling for consideration into this report. Please click here or click the report image below to read.